What Does the Future Hold for the Hedge Fund Industry ? In less than 30 years, the hedge fund industry has grown to an estimated $1.4 trillion in assets (according to HedgeCo.) However, emerging technologies such as cryptocurrency, artificial intelligence, and blockchain are severely disrupting the industry. So, many questions arise. Will hedge funds be replaced by AI systems or cease to exist? How will they reconcile their profits with social responsibility? What kind of products will they offer to new investors? These questions are answered by big names in the industry, such as Ken Tropin, Luke Ellis, and Phillipe Jordan in the AIMA’s (Alternative Investment Management Association) report on the future of hedge industry. 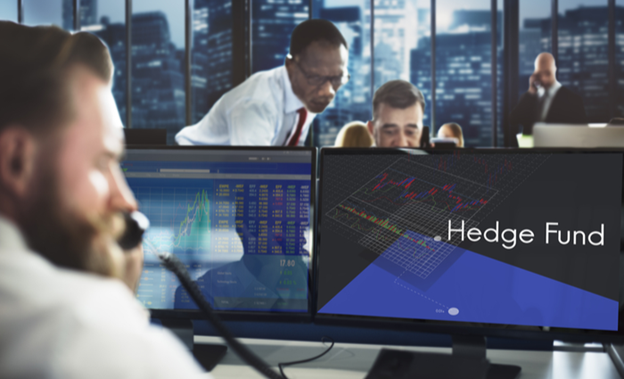 While competing for talent (against companies like Google), hedge firms are becoming more Quant-focused, because machine learning and AI will continue to take a considerable part of the hedge fund space. They need quant talent due to the growth in global data, as the firms are being re-structured concerning staff and technology to be able to use that data. Quants can create a diversity of signals, and some hedge funds are creating their datasets. It is not enough to build distribution for future investors as competition is fierce. Hedge funds now want to put an eye towards distribution among retail clients, because they’re less likely to win the retail business without changing their distribution models. They’ll need to embrace mobile and digital technology to engage a wider audience of investors, thus getting the transparency, accessibility, and scalability retail investors expect. Also, the technology will allow hedge funds to understand their investors’ preferences better and help create products that appeal to different investors. Hedge fund investors will keep paying higher fees to those who can deliver Alpha, given the skill needed to produce it. Alternative Beta and Smart Beta look for expansion into these vehicles. Investors have become more technical and realized that some investments strategies could be replicated for lower fees. Thus, I believe a majority of assets in the total hedge fund pool will be invested in some low-to-average correlation form of the investment product or a type of risk premium investment strategy. Further, into the future, more than half of the hedge fund is expected to be comprised of liquid alternatives (more low-cost investment products,) while the remainder will include high-end investment strategies that can deliver true alpha. High ROI is not enough anymore as investors want their social and environmental values to be reflected in their investments. The United Nations-backed Principles for Responsible Investment have brought significant improvement in corporate governance as they encourage asset managers to be the representatives of the corporate landscape. They do it via proxy voting and the engagement of asset management’s processes aimed at improving corporate behavior. It seems that the hedge fund industry is going through a renaissance period among institutions, having faced net capital outflows and an extended period of low confidence among investors. The future looks like to be full of new distribution channels, responsible investments, liquid alternatives, and quants. Last year, there were net inflows in all four quarters, while this year most investors plan to increase their exposure in the years to come. If you decide that you need guidance through the changing landscape of hedge funding, Blackhawk Partners operates as a successful strategic advisor and private equity investor. Contact us and our team of experts will educate and help you navigate through the hedge fund investing waters.